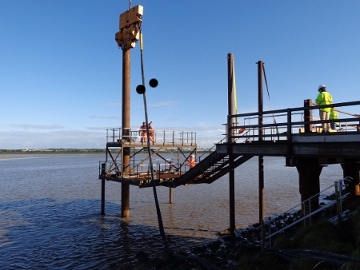 R G Parkins & Partners Ltd have been helping SPI Appleton with temporary works in the water for a major new crossing in the North West. Blue skies and calm waters are not always guaranteed here, but 'make hay while the sun shines' comes to mind. © R.G. Parkins & Partners Ltd 2008. All rights reserved.